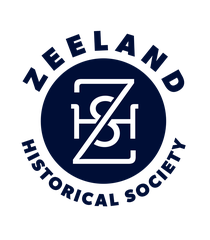 1916: Zeeland High School opened this year with an attendance of 147. There are 54 freshmen enrolled. Superintendent Tucker, of Lennox, Iowa, and the teachers are introducing several new ideas in the school system. —That Zeeland has a baseball team of which she can feel proud of was demonstrated Saturday afternoon when the Grand Rapids Eagles met defeat on the Zeeland grounds. The score of the game was 5-1. The feature of Saturday’s game was the pitching of Wyngarden and Sutcliffe, who played with the Zeeland team for the first time.